He provided active support for pro-Russian militants in Donbas. One of the most popular Soviet and Russian singers, Iosif Kobzon, died at 80 on 30 August, his relatives have told the media. He was born in Chasiv Yar, Ukraine and later lived in Dnipropetrovsk before he moved to Russia. In late 1980s he went into politics to become a Soviet MP and later a Russian one. In 2005, he was diagnosed with cancer. In the summer of 2018, his condition deteriorated drastically and he was admitted into emergency care in Moscow. In 2014, he publicly supported the Russian incursion in Ukraine, annexation of Crimea and establishment of the puppet republics in Donetsk and Luhansk regions. In October 2014, he illegally crossed the Ukrainian border and performed for Donetsk militants. 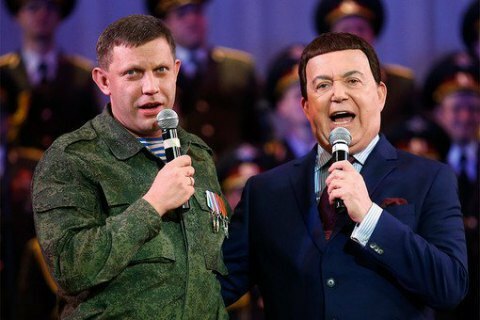 He even sang in duet with Donetsk separatist chieftain Oleksandr Zakharchenko. As a result, he was blacklisted in Ukraine.